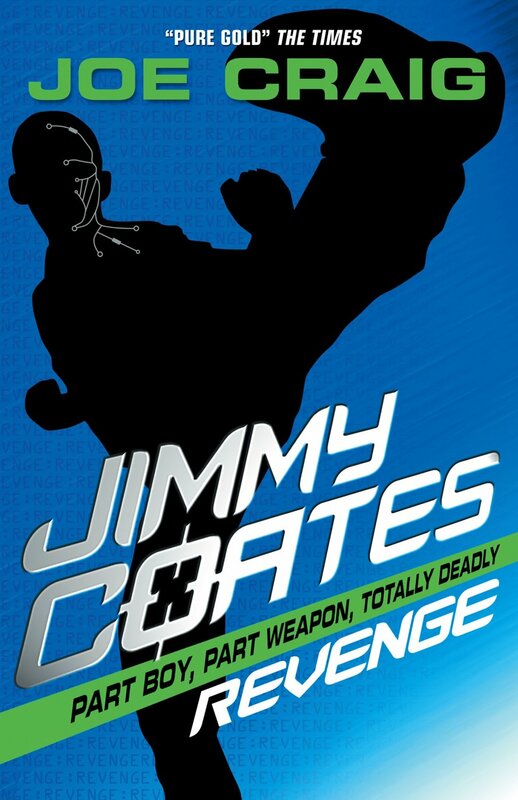 Each Jimmy Coates book is a self-contained thriller, so you can read them in any order, but if you DO read them in order there is of course a story arc than runs through the series. They’re for anyone aged about 9 and over. My latest series is World of Robots - four short books, each one taking the reading level on slightly, to help build up reading ability and confidence. They’re mainly for slightly younger readers, around 7 and over. First in the action-thriller series. “Pure gold” - The Times. “Totally excellent adventure - a bit Bond, a bit Matrix and a lot of what you’ve never read before. Someone make this into a movie!” - Flipside Magazine. Book 2. Jimmy Coates is on the run from secret government agency, NJ7. How do you survive when your enemy’s greatest weapon is a boy just like you? Book 3. His family torn apart. His life in danger from the British Secret Service. Jimmy seeks refuge in the USA. But running isn’t good enough. His enemy will always find him. They see everything. They’re in every shadow. They’re inside his head. It’s time to end the chase. Can Jimmy save his family AND prevent a war? The choice is simple. The decision is deadly. Book 7. Jimmy Coates can only trust one man to bring the country back from the brink of chaos. When that man disappears, Jimmy must battle the shadow of corruption. But the shadows are darker than they seem, and the darkness reaches further than Jimmy could ever imagine. Adaq and Maya are siblings - urban professionals with a unique set of thieving skills. When Adaq lifts a package from his latest target he has no idea what he's getting into. Before he can blink, the target is lying dead on the ground and he is running for his life. Alien invasion and extreme storms threaten the human race. Jay and Emma are fighting their way to the safety of a bunker. But it's too late. The Zorbs are coming. A short-story action-thriller. Jed finds an ancient helmet embedded in the earth. The original owner wants it back - with time and space in the way. But this helmet was made for war and it's ready to fight again, through whoever puts it on. A short-story action-thriller. Judd wants more from life than being a window cleaner, like his dad. On his last job, he looks through the wrong window and glimpses something he's not meant to see. A secret somebody is prepared to kill for. A short-story mystery. Book 1. Jango and his grandpa bring in something unexpected from the robot ships that patrol the ocean - something that doesn’t belong in Jango’s world. Book 2. Jango and Izza are trapped on a broken-down transporter ship during a storm when they find themselves facing down a wild beast. Can they make it off the ship alive? Book 4. Jango has no idea how much his life will change when a truck crashes into his warehouse and they’re left with some mysterious and very valuable cargo.